Welcome to Cooking With Chloe! We’re still celebrating the baked goods explored in Tradition of Deceit. 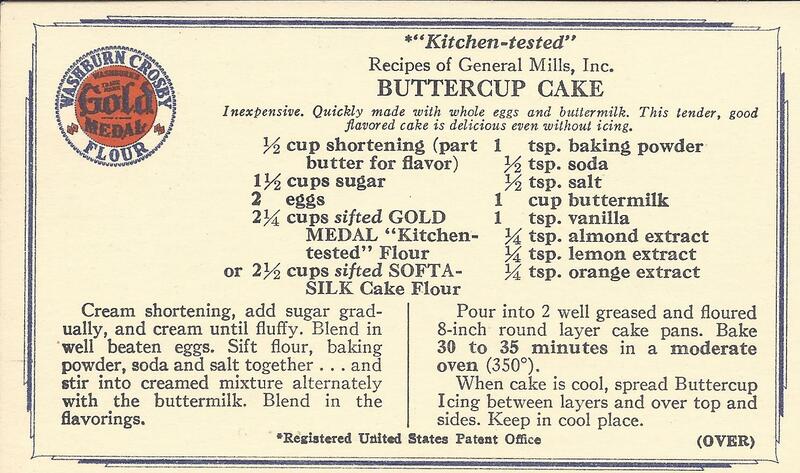 This week we have another tasty recipe from Gold Medal Flour, Buttercup Cake with Buttercup Icing. 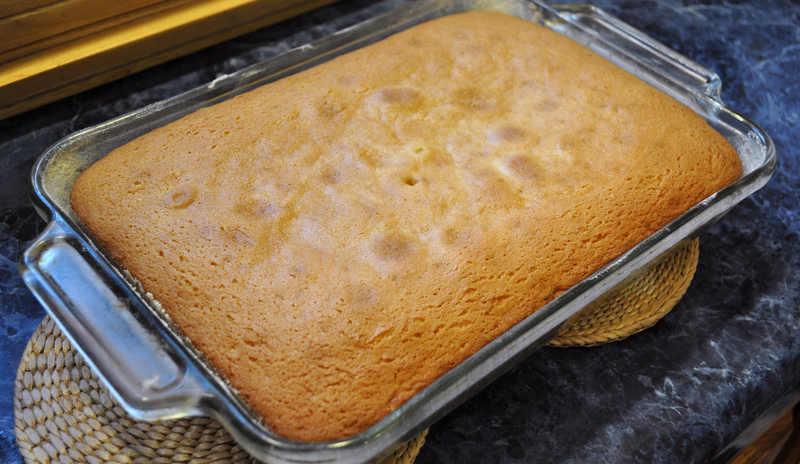 Michelle L. tried the recipe for us. The verdict: Everyone in my family thought it was delicious, and it smelled heavenly. 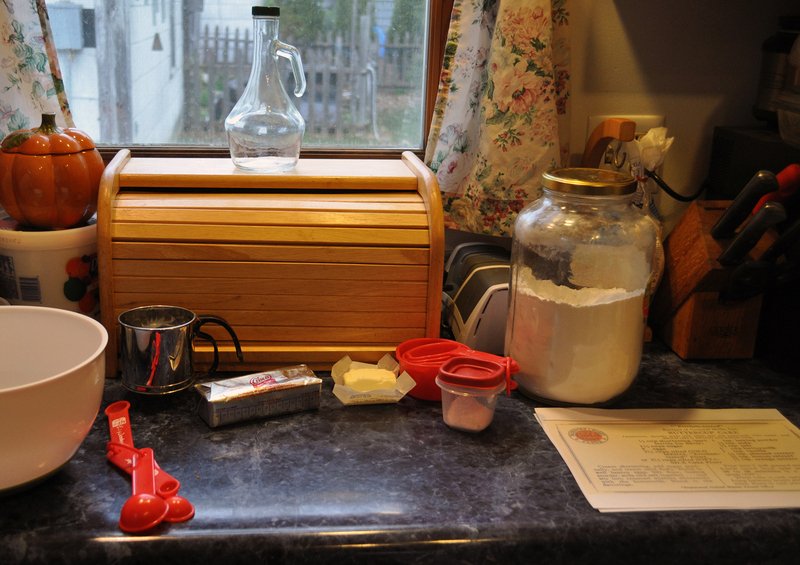 Michelle documented the process, and shared the notes and photos below. 1. Gather all of the ingredients and necessary utensils. 2. 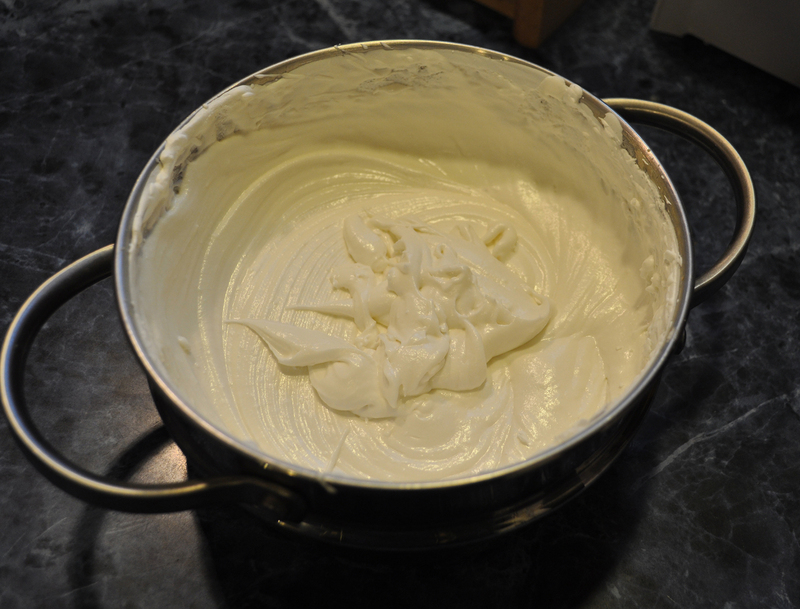 Cream shortening , add sugar gradually, and cream until fluffy. 3. Blend in well beaten eggs. 4. 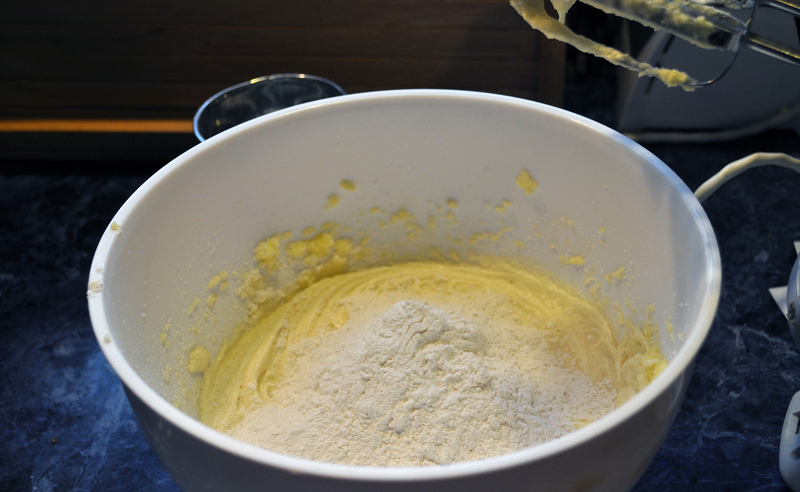 Sift flour, baking powder, baking soda, and salt together. 5. 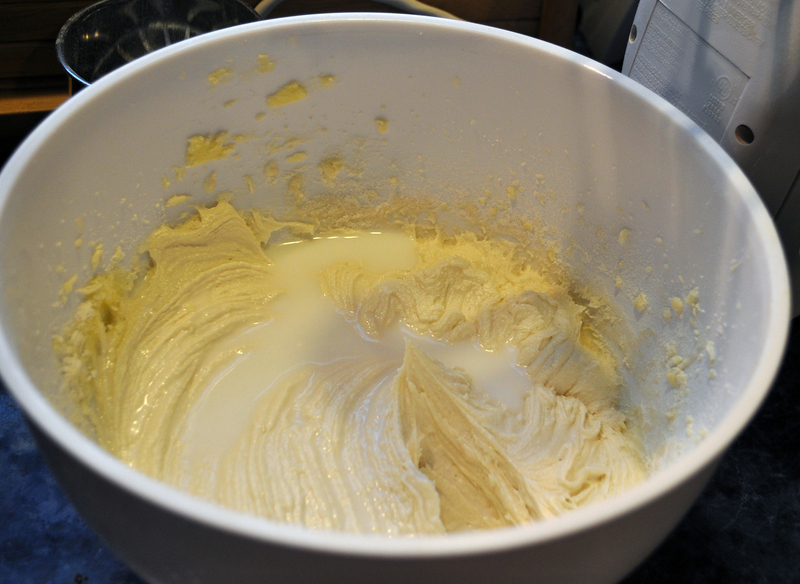 Stir flour mixture and buttermilk alternately into creamed mixture. 8. Bake at 350° for 30 to 35 minutes. 9. 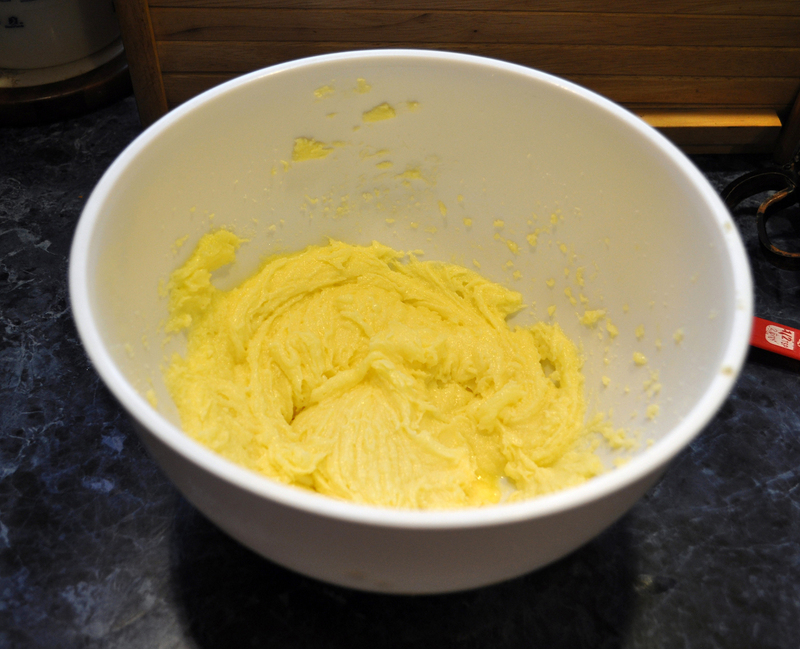 When cake is cool, spread Buttercup Icing on cake. 1. 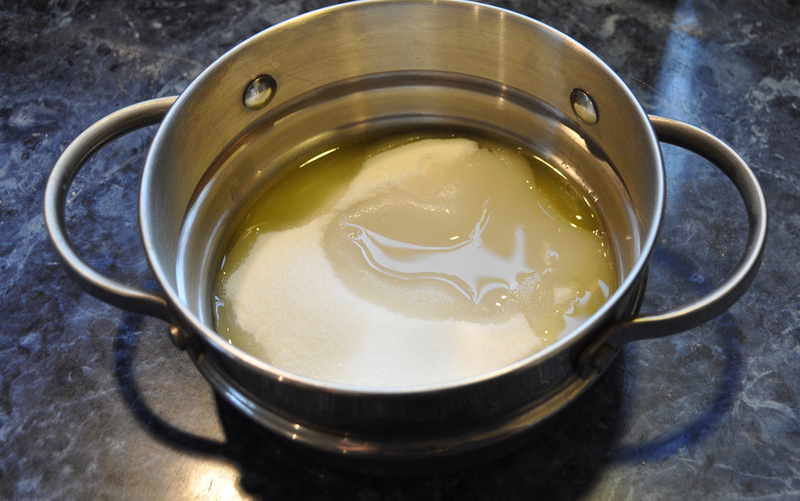 Combine egg whites, sugar, and water in top of double boiler and beat together until blended. 2. 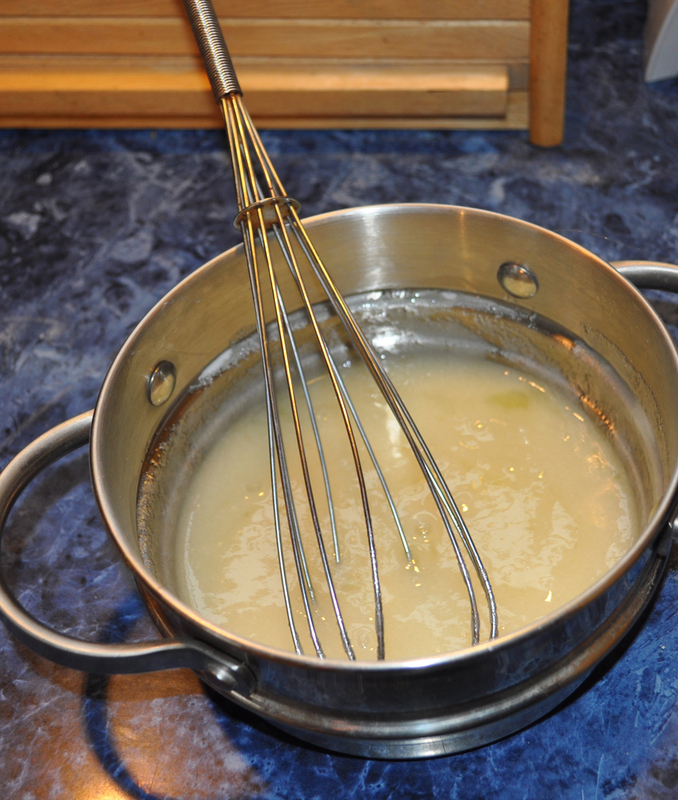 Place over rapidly boiling water, and beat with a rotary beater until mixture is white and very light. 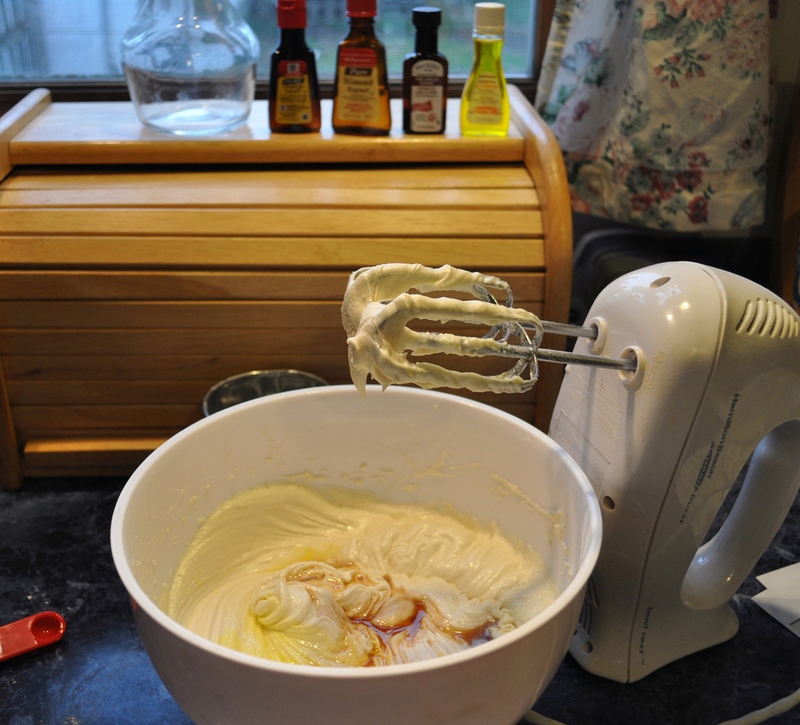 Icing is done when it holds its shape when beater is pulled out. 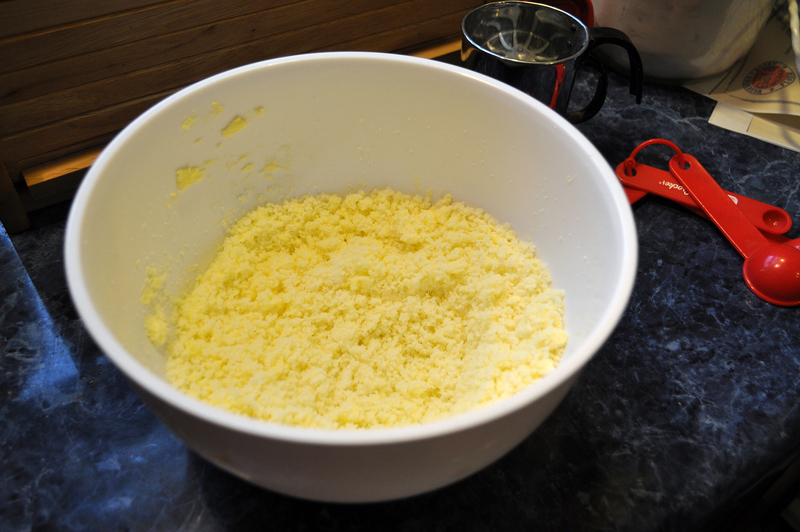 This will take about 4 to 5 minutes, depending on size of boiler and vigor of beating. Remove from heat. 3. Beat in flavorings and then beat occasionally until icing is cool. 4. 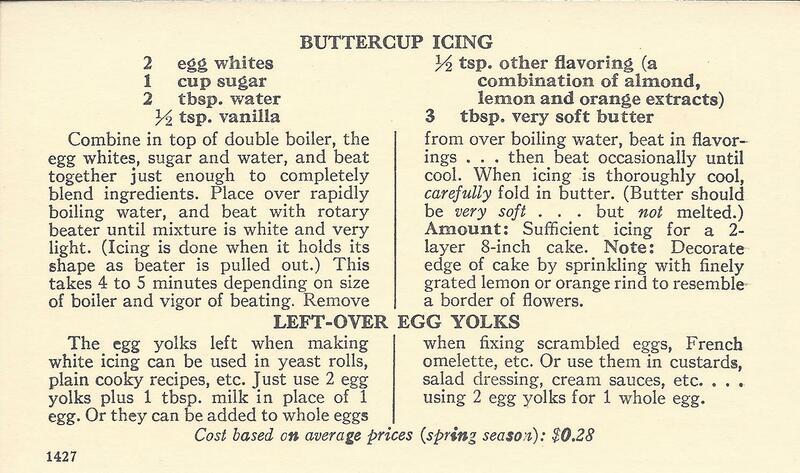 When icing is thoroughly cool carefully fold in very soft (but not melted) butter. 5. Spread icing on cake and enjoy! 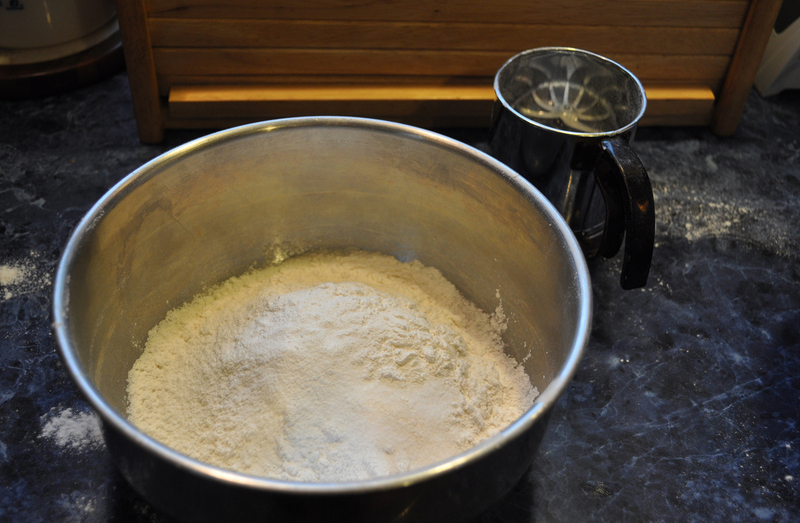 I wasn’t sure if the amount of flour was before or after being sifted. I looked in an old cookbook and decided it is after sifting. I served the cake to after dinner to the family and everyone thought it was delicious. I would definitely make this recipe again. Huge thanks to Michelle for sharing her time and talents with us! I can’t wait to try this one.